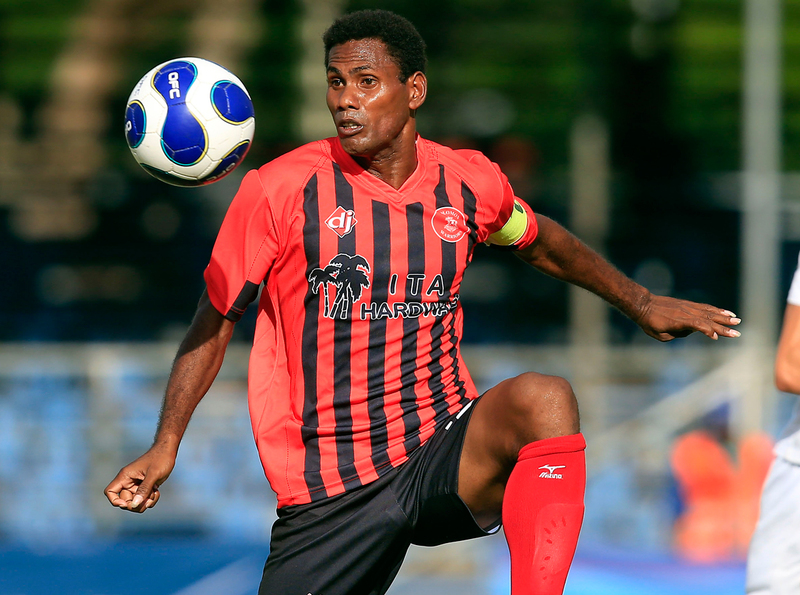 For some, playing in front of a very vocal, patriotic home crowd might be intimidating, but for Solomon Islands defender Haddis Aengari it’s part of what drives him. The 26-year-old will once again wear the colours of his nation at Lawson Tama Stadium in Honiara this evening when the Solomon Islands play Papua New Guinea to keep their 2018 FIFA World Cup Russia Qualifiers campaign alive. “I’ve been playing with the national team for seven years now and the 2012 OFC Nations Cup was one of the most memorable moments of my career,” he said. Aengari said his dream has always been to represent the country. In a football-mad nation like Solomon Islands it’s not an easy dream to achieve but Aengari said when you do, it really means something special. Under the guidance of Felipe Vega Arango Alonso, Aengari said things are different. Aengari said the team’s more experienced members – Benjamin Totori and Henry Fa’arodo among others – are excellent role models for players like himself. Although he’s had a brief stint playing in New Zealand, he’s happy where he is right now playing with Solomon Warriors. “It was so cold,” he laughed. “But also the football is different, it’s very direct football and here we’re not so direct. Here, well we can lift our standard more but it’s different I like it. Looking at tonight’s challenge, the defender said although Papua New Guinea have experienced some changes in the past 12 months, they cannot be underestimated. But he also wants to part of the Solomon Islands side that finally breaks through the barriers to earn a place on the world stage.